• Provides +12V ACC via data-bus interface, analog +12V output for reverse trigger and ground output for parking brake engagement. • Retains steering wheel, premium audiophile system (except for THX) and phone control buttons (for compatible radios). 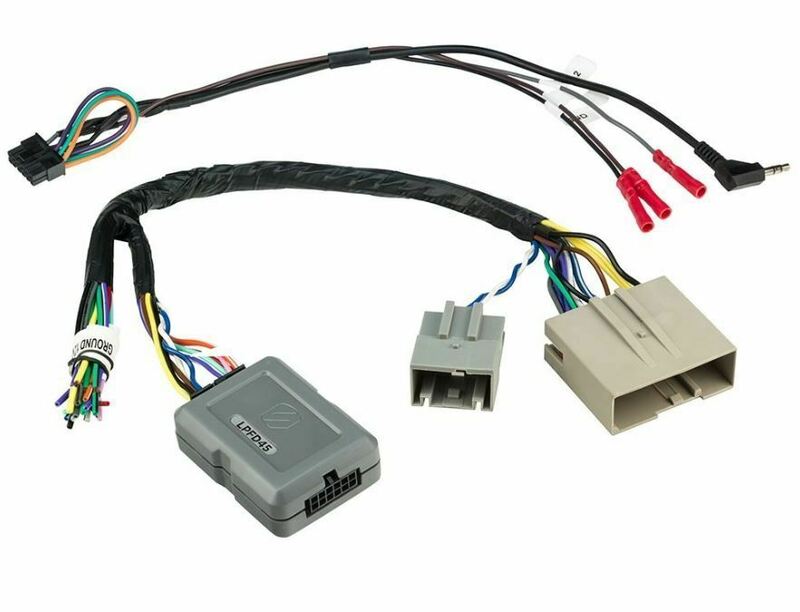 • Includes universal head unit steering wheel connection harness for most aftermarket brands: Alpine, Clarion, JVC, Kenwood, Pioneer, Sony, and more. • USB updates via Scosche RFM (Sold Separately).